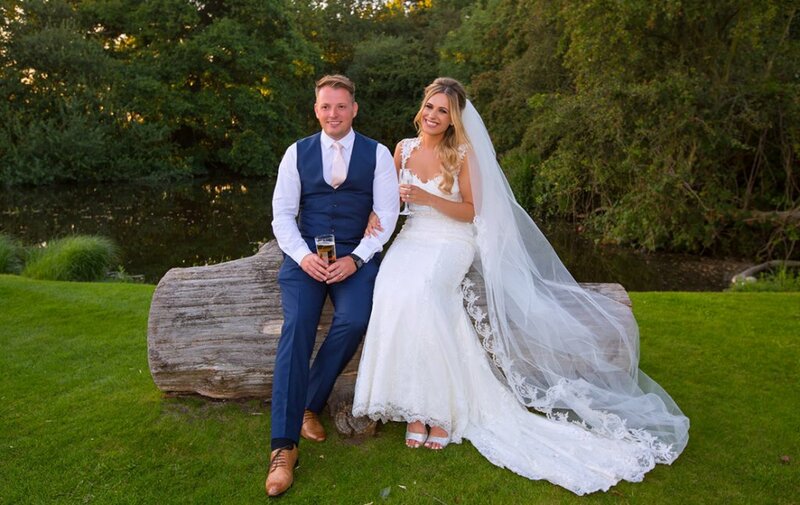 Setting an August wedding date, Gemma and Matthew were on the lookout for their perfect wedding venue and fell in love with Sandhole Oak Barn. 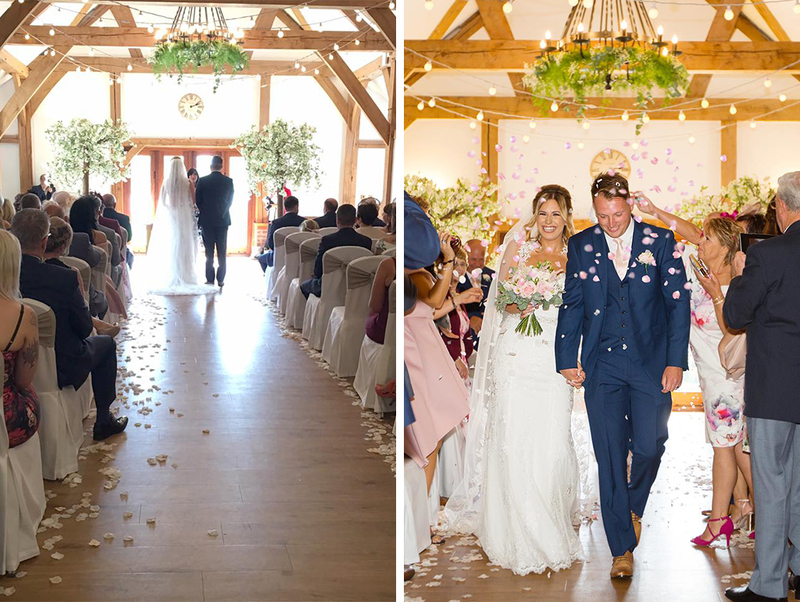 The happy couple chose blush pink as their main colour, beautifully romantic for a summer celebration. 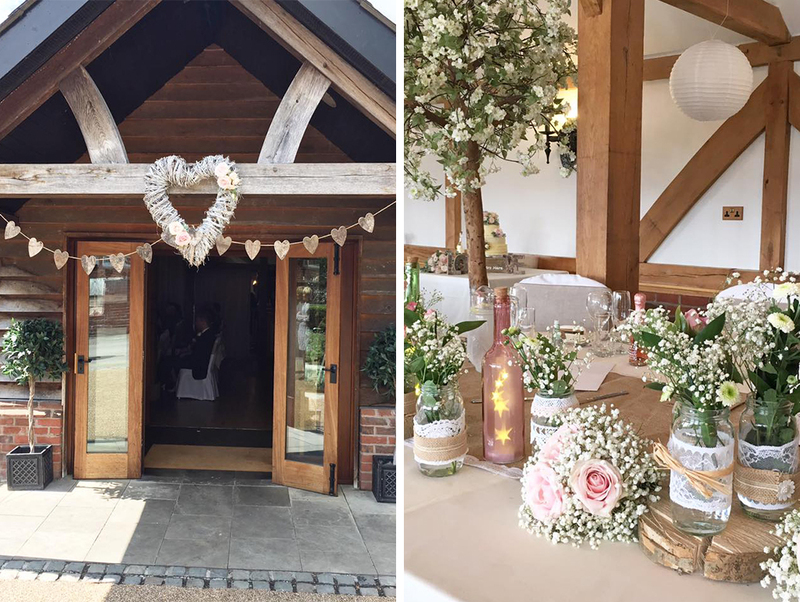 They adorned the barn with candles and pretty flowers, featuring two large blossom trees and lanterns on the table centres surrounded by gypsophila. 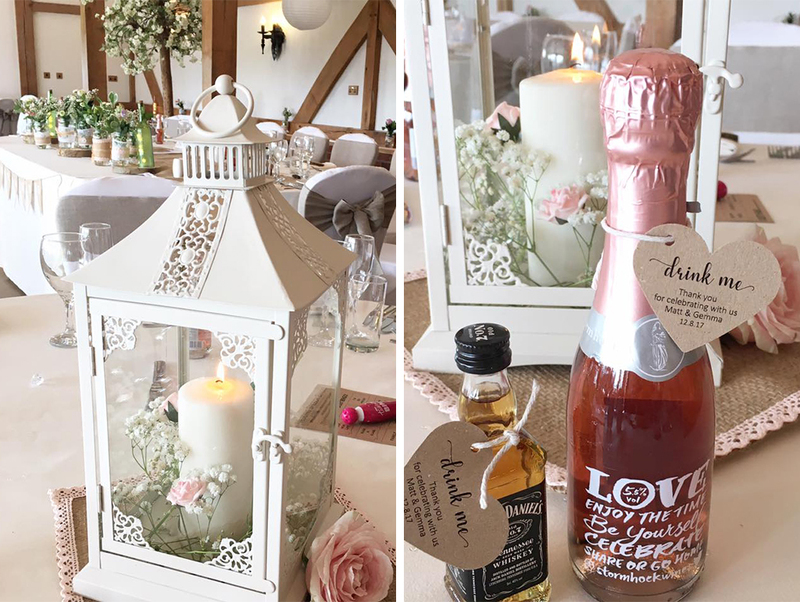 Continuing the natural theme, place cards were made from a tree in their garden. Searching for a backless design that she would also be comfortable dancing in, Gemma struggled to find anything she liked. 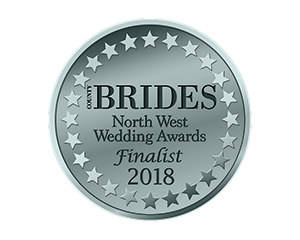 After trying on around 70 dresses, she visited a boutique back in her home town of Stockport. The beautiful bride accessorised with earrings from her bridesmaids and a bracelet from her husband-to-be. She completed the look with a bespoke cathedral length veil, designed with her grandmother. 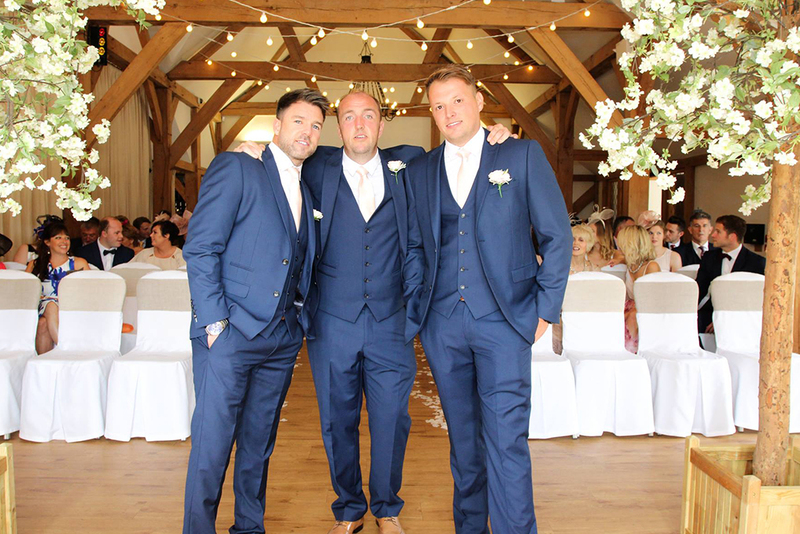 Matthew dressed to impress in a navy suit from House of Fraser with blush pink tie. 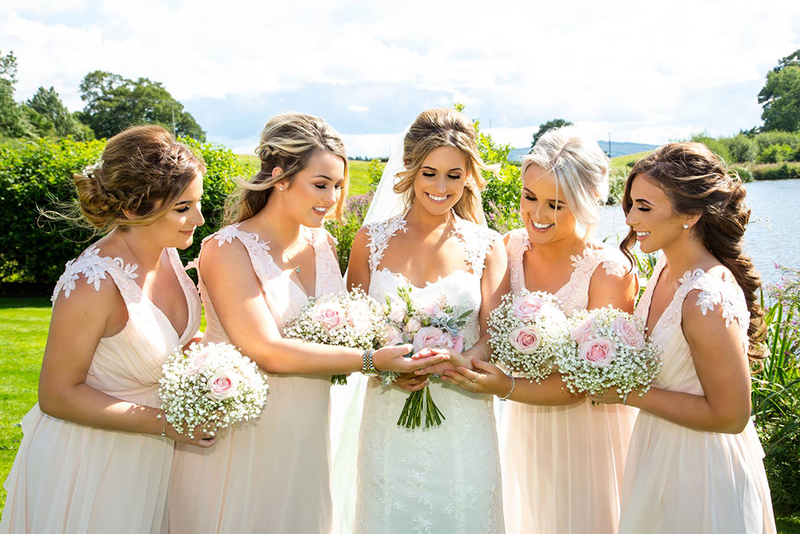 Finally, Gemma’s four bridesmaids looked stunning in long blush pink gowns by Little Mistress. 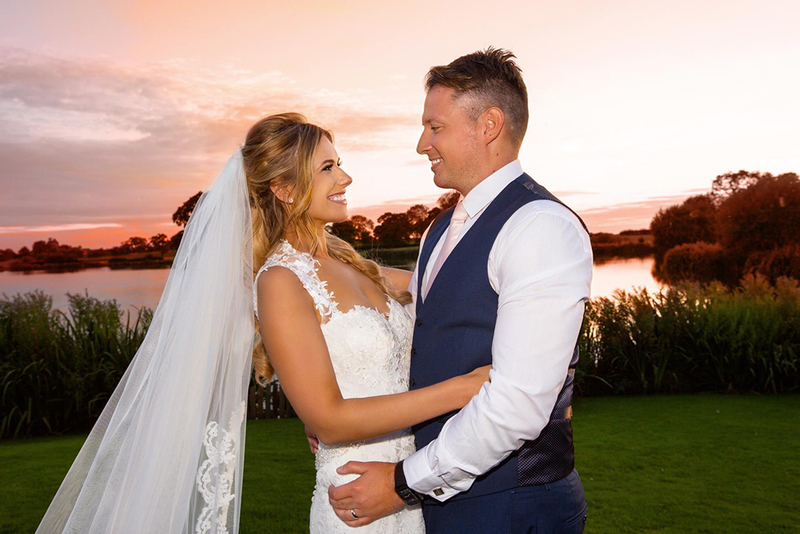 Following their civil ceremony, drinks and canapés were served on the verandah before the newlyweds and their guests moved in to dine. A main course of belly pork was followed by a delicious trio of chocolate brownie, Eton mess and blackcurrant sorbet.